342 pages | 75 B/W Illus. Sustainable Design for the Built Environment marks the transition of sustainable design from a specialty service to the mainstream approach for creating a healthy and resilient built environment. This groundbreaking and transformative approach introduces sustainable design in a clear, concise, easy-to-read format. This book takes the reader deep into the foundations of sustainable design, and creates a holistic and integrative approach addressing the social, cultural, ecological, and aesthetic aspects in addition to the typical performance-driven goals. The first section of the book is themed around the origins, principles, and frameworks of sustainable design aimed at inspiring a deeper, broader, and more inclusive view of sustainability. The second section examines strategies such as biophilia and biomimicry, adaptation and resilience, health and well-being. The third section examines the application of sustainability principles from the global, urban, district, building, and human scale, illustrating how a systems thinking approach allows sustainable design to span the context of time, space, and varied perspectives. This textbook is intended to inspire a new vision for the future that unites human activity with natural processes to form a regenerative, coevolutionary model for sustainable design. By allowing the reader an insightful look into the history, motivations, and values of sustainable design, they begin to see sustainable design, not only as a way to deliver green buildings, but as a comprehensive and transformative meta-framework that is so needed in every sector of society. 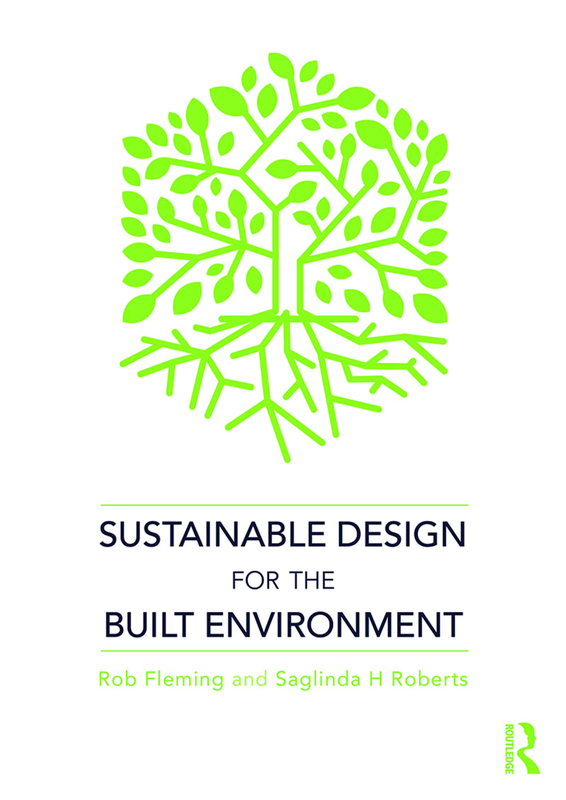 Supported by extensive online resources including videos and PowerPoints for each chapter, this book will be essential reading for students of sustainability and sustainable design. Rob Fleming is the Salaman Family Chair in Sustainable Design and Professor and Director of the MS in Sustainable Design Program at Philadelphia University, USA. Saglinda H Roberts is currently an Assistant Professor in the Michael Graves College at Kean University, USA, and has over 30 years extensive design experience with a large variety of projects.